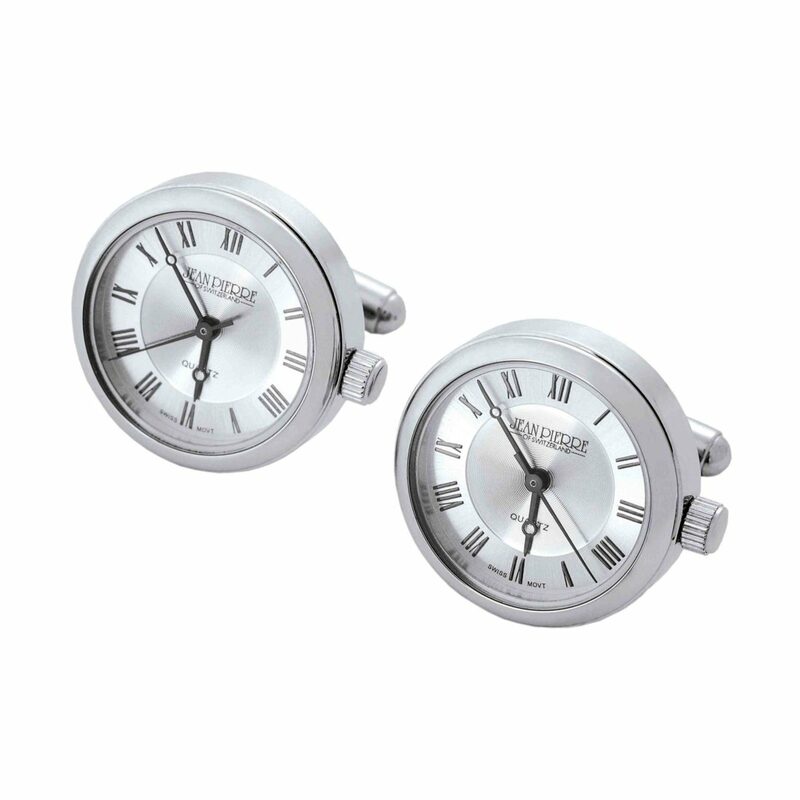 Chrome plated cufflink watches with silver dial. 23mm diameter. Quartz movement.